Each July 14th marks the storming of the Bastille prison, and the start of the French Revolution of 1789. Hundreds of thousands of Parisians celebrate Bastille Day with festive events, including fireworks, parties, balls and parades throughout the city. Despite the recent political turmoil in Paris and rumors of canceling the different events, Bastille Day is sure to be as unforgettable as always. 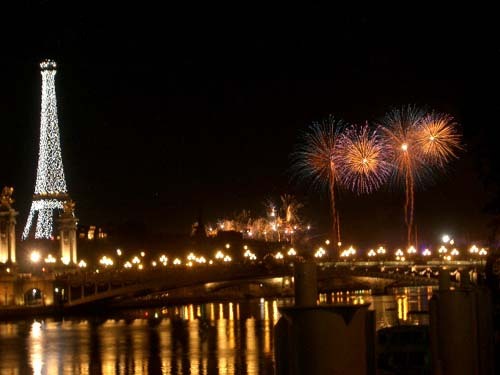 1) Attend the event’s kickoff, the Bal des Pompiers, on the evening of July 13 at 10:45 PM - the fireworks and concert at the Place de Bastille, the birthplace of the French Revolution itself. 2) Line the legendary Champs-Elysées to watch the famed military parade on July 14th, starting at 8:45 AM. The crowd can get as deep as 6 people, so be ready! This year marks the 50th anniversary of African colonies independence from France, so the military parade will be a mix of French and African soldiers. 3) Head to the fireworks at Trocadéro that will start at 11 PM. Gather with the thousands of other revelers on the beautiful Champs de Mars under the magnificent Eiffel Tower. 4) Let yourself simply wander! The city is electric during the Bastille day celebrations, with restaurants staying open all night for parties, live music, and picnickers in the city’s parks. Of course, nearly every bar and club will be staging a celebration as well so your options are endless. 5) If you’re less interested in being outdoors, and want to experience a slice of Parisian culture, the Louvre Museum offers free admission on Bastille Day. A final word to the wise - don't forget your comfortable walking shoes because the metro is closed on Bastille Day!